Autonomous vessels in convoys following nuclear powered icebreakers will improve efficiency of shipping along the Northern Sea Route, a study by Russian nuclear researchers says. 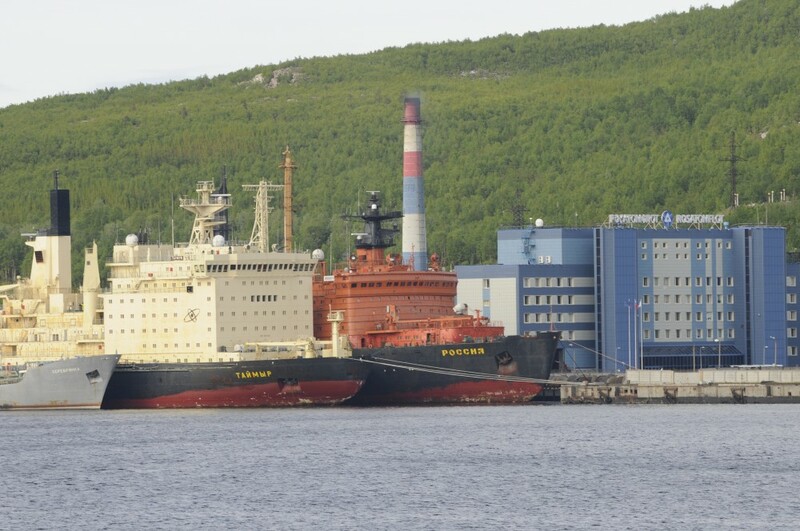 Rosatom, Russia’s State Atomic Energy Corporation takes another step forward positioning itself as a lead player in developing the Arctic. A recent study made in cooperation with All-Russian Scientific Research Institute of Experimental Physics (VNIIEF) paves the way for how future shipping in icy waters can be made more cost-effective and safer. The study, first reported by RIA Novosti, says it will be possible to make significant improvements on the hull of the ships if they can be constructed without thinking about providing space for crew members. Cargo can be placed in the bow, the dimensions of the vessels will be optimized in a more favorable way, all making the voyage more effective in Arctic waters. Still, one of the powerful nuclear powered icebreakers will sail first opening the ice for a convoy of unmanned vessels en route either to or from a domestic Arctic port or in transit between Asia and Europe. A next step in the study will be to develop digital models and make model simulations of such autonomous cargo ships. The researchers underscores how unmanned vessels will be safer than vessels operated by on board crew members. 60-80% of all incidents on ships are caused by human mistakes, either in navigation or by other reasons. Instead of people, the new autonomous ships will navigate computer systems linked with radiosignals and digital monitoring of the ship’s movements in the water. «This will give economic savings, especially in difficult conditions in the Arctic region,» the nuclear researchers say. The study point to Norway and other European countries where several similar studies of autonomus shipping are carried out. In southern Norway, the industrial company Yara is to open a route for hipping by full-electric, autonomous containerships between the fertilizer plant at Herøya and the port of Brevik. The first voyage will sail the route in 2020.